Oregon Region Helps to Create Gateway Green, an Off-Road Cycling Park — Goodfellow Bros. The Oregon region was approached by PBS Engineering and Environmental and a non-profit group “The Friends of Gateway Green” (FoGG) with the request to help with the development of a new park in SE Portland located on a sliver of land between Interstates 205 and 84. This land was previously undeveloped with the intent to create an area that could be utilized by the local Parkrose, Parkrose Heights, Woodland Park, Hazelwood and other east Portland neighborhoods. GBI was up for the challenge and donated time and equipment to complete mass grading for the site that now houses the park’s bike tracks and skills center, including 25 acres of new park. GBI provided additional grading for the location of the grand opening ceremonies. 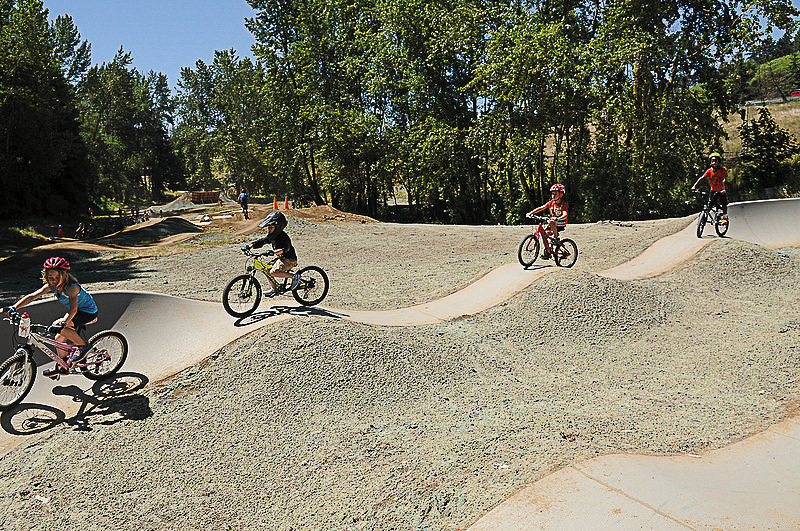 This portion of the park is the first of its kind in the Portland area: It has an off-road cycling park with five single-track trails, a pump bike track and a bike skills course. The park is now open daily and it is estimated that 250,000 people will pass through the park every year.